LSA Burger, located in the downtown Denton Square, is known for its burgers, live music and, perhaps most of all, its rooftop. Artists left their marks on the walls of LSA this weekend as part of the restaurant’s Mural Project. Mural artist Dan Black was one of the artists selected to paint a mural during the first Mural Project in 2016. 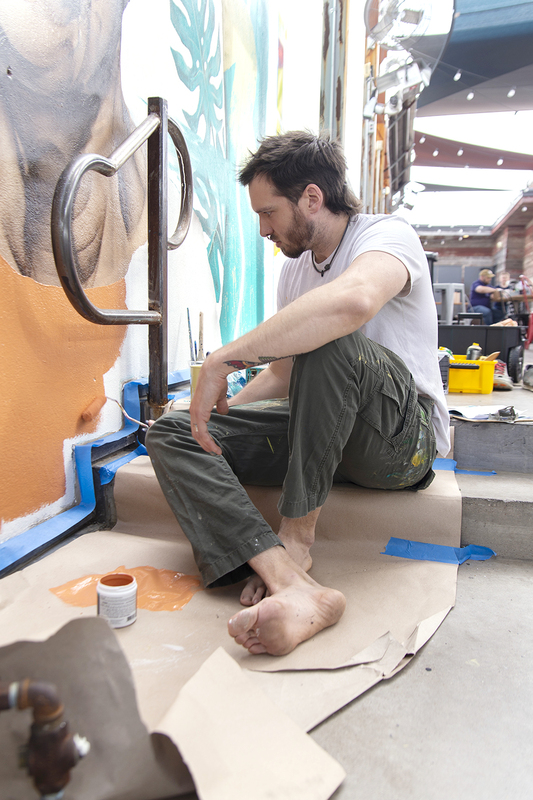 Mural artist Dan Black paints his mural for the LSA Mural Project. Black is a local artist who created the mural on the side of Andy’s Bar in the Denton Square. Image by: Adriance Rhoades. Black said murals have the special ability to bring people together. LSA gave the participating artists creative freedom as far as the subjects of their murals. 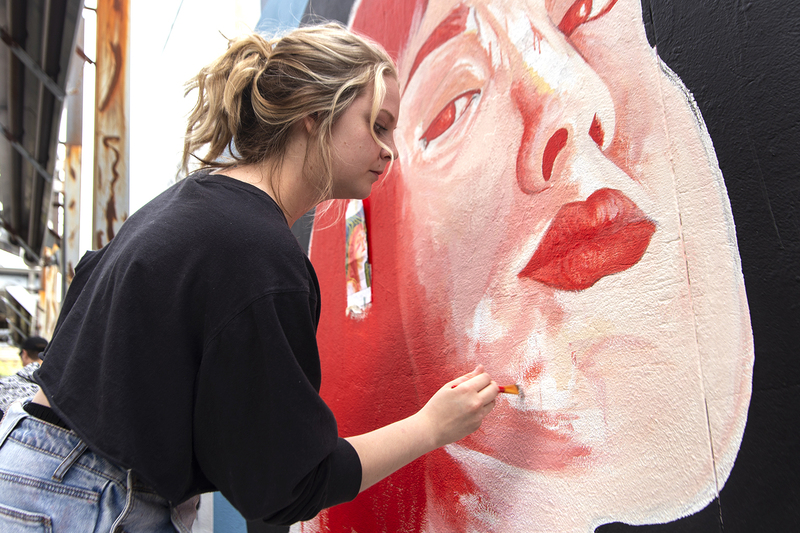 Portrait artist Chelsea Miller paints her mural portrait for the 2019 LSA Mural Project. 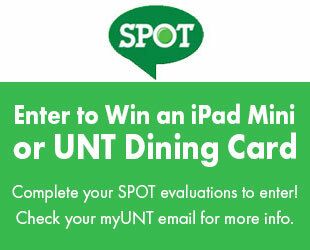 Miller is a server at LSA and a communication design junior at UNT. Image by: Adriance Rhoades. Chelsea Miller, a portrait artist and communication design junior, was one of the artists who contributed a mural to the project. She had never painted a mural before, but said she was inspired to try after seeing the murals one of her friends had created and the existing murals at LSA. Miller’s mural is a portrait of a woman and it utilizes a lot of red tones. Cynthia Giron, an MBA art student at UNT, wanted to be part of the mural project last year after hearing about it from friends. However, she missed the previous year’s deadline to apply. “Thankfully this year, the University of North Texas actually sent out a call to all the art students and I was able to apply that way,” Giron said. Giron said murals stand out because of their size and the amount of space they take up. For Giron, she said she uses her art as a way to tell personal narrative stories that are both understandable and up for interpretation. 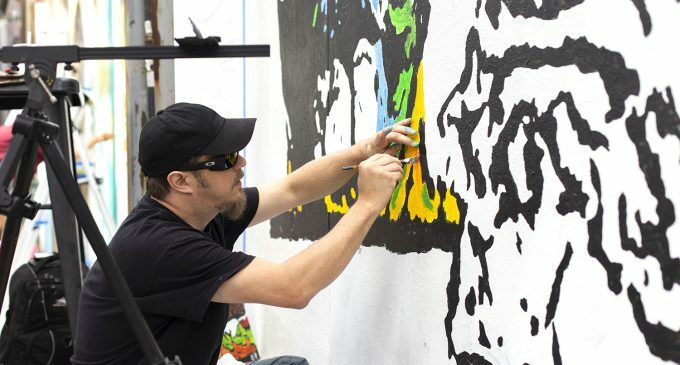 Featured Image: John Bramblitt paints his mural as part of the LSA Mural Project. Bramblitt is a UNT alumnus and began painting after he lost his eyesight. Image by: Adriance Rhoades.